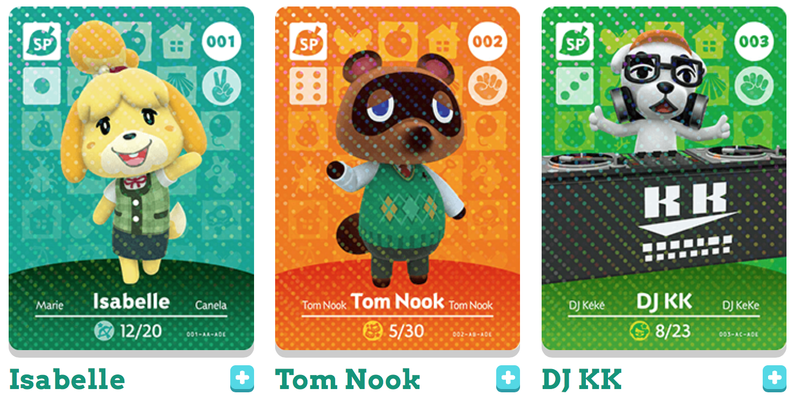 Animal Crossing Amiibo Cards Hype Train Starts Here! Animal Crossing Happy Home Designer is out on Friday and as you may be aware, it has a new type of Amiibo associated with it: Amiibo cards! Amiibo cards hype train choo choooooo! But what are Amiibo cards, you ask? They act just like regular plastic Amiibo but in card form. Each pack comes with six cards, there’s 100 cards total in the set, and they’re blind packs (so you could get duplicates). Still with 100 cards, even getting four packs isn’t likely to yield you too many duplicates. As for their function in the game? If you tap the Amiibo card on your 3DS, the character on the card will pop into the home you’re currently designing to hang out. Apparently you can also then help work on their house design as well. I mean, who doesn’t want to design K.K.’s awesome DJ pad, or Kapp’n’s humble seaside shanty? Given they’re blind packs, these cards are ripe for trading. Hey, maybe I’ll even set up a trading post after they come out for the lovely denizens of TAY to organize trades over! If you want to see all the cards in all their glory, you can check them out on the official Amiibo card catalog! You can preorder them now on Amazon (non-affiliate link here), or keep your eyes peeled on Best Buy, Target, and other sites as they should be going up soon. At current rates, they’re going for about $1 per card, which doesn’t seem too shabby as DLC goes, and you have a chance to get a hot foil-backed card for it! So, anyone else jumping in and getting a few packs? I’m down for four to go along with my purchase of the game. 24 cards should be more than enough to see on my way. I’m not planning to collect the whole set at this juncture... though I’d never say never when it came to Amiibo! What do you think of Amiibo cards as a concept? Terrible idea? Fun way to do DLC?